The Winter Olympics in Sochi which ended with a spectacular closing ceremony was certainly a success. Russia achieved a huge haul of medals with Canada and the United States not far behind. Everyone has a favourite winter sport be it Skiing, Snowboarding or even Curling and the Winter Olympics gave a great opportunity to watch these events which are otherwise usually not televised in the majority of countries. Unfortunately it was also the case that the games didn’t get shown in many countries and even in countries such as the US it was restricted to a network that you already required a subscription to. So with that in mind many of you headed on to the internet to look for a way to watch the games online. Unfortunately for most people it wasn’t a simple case of logging in to your local television networks website and watching without issue but luckily for many they bumped in to our website. We helped hundreds if not thousands of people access the Winter Olympics online and watch from the comfort of their own home without giving consideration to what country they lived in or where they found themselves in the world at that time, lets face it, when you have a family vacation or business trip planned you have to watch from wherever you are at that given time, the games won’t wait for you! The games are now over and it is time to make way for some truly inspirational athletes, people who unlike myself and no doubt many of you get up and take part in sports to such a high standard without letting their disabilities get in their way. So firstly I must take a bow to the courage of the athletes, they have more strength than I would have in a similar situation. Secondly I know many people are now looking forward to watching the Winter Paralympics and again will face the same situation as those who sought to watch the main games only weeks ago. The trouble is there are very few countries TV networks actually streaming the Winter Paralympics live online and those that are will be restricting the viewing to residents of the country of the network. As with the main games we have a super easy solution to how to bypass these restrictions and enjoy watching your favourite events live from any location in the world with just a few simple steps. The same solution that worked for the main games will be suitable again and for this you will need to sign up to a service known as a VPN. What one does is allows you to connect to a server anywhere in the world in a way which then allows you to surf the web as if that connection was your own. To simplify, when you access any website it can see that you’re from a specific country because of your IP Address. 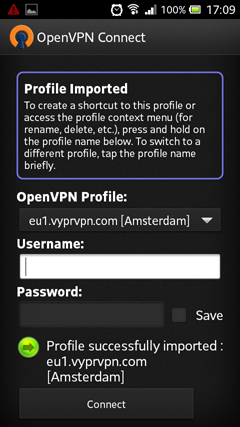 When you connect to a server of a VPN your connection passes through it encrypted which results in websites you visit seeing the IP Address of the server. 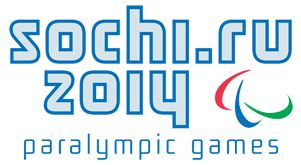 For the purpose of watching the Sochi Paralympics there are a few websites showing the games, CBC in Canada, Channel 4* in the UK, ZDF in Germany & NRK in Norway. So in this instance you can connect to both a Canadian server and appear as if you’re in Canada and a British server and appear as if you’re in the United Kingdom or a German or Norwegian server. Now that those sites think that you’re resident in those countries they’ll happily stream you the Paralympics live without throwing up the “not available in your country” blockade. You can switch between the four and when one site isn’t showing a certain event, there is the possibility the others will be, there is no limit to the amount of times you can switch servers. Choosing a VPN provider is a tough decision as there are plenty of good ones and quite a few poor ones. As you’re streaming video you need a reliable one with good speeds. Over the months we’ve reviewed loads of providers and based on this can recommend some good ones to consider. All three are equally as good as each other and VyprVPN even offer a 3 day trial so you can test it out, so its worth considering them if you’re still a bit unsure. They all offer simple software for both Windows and Mac as well as some mobile devices which within one or two presses of your mouse will get you connected without any further hassle. If you’re still not convinced have a look below our recommendations and you’ll see how easy it was to watch the main games using IPVanish. *Channel4 requires you to register your email and a British postal address, any can be used and you don’t need to confirm your email, post in the comments if you get stuck.